Lysá hora is very famous within the region. 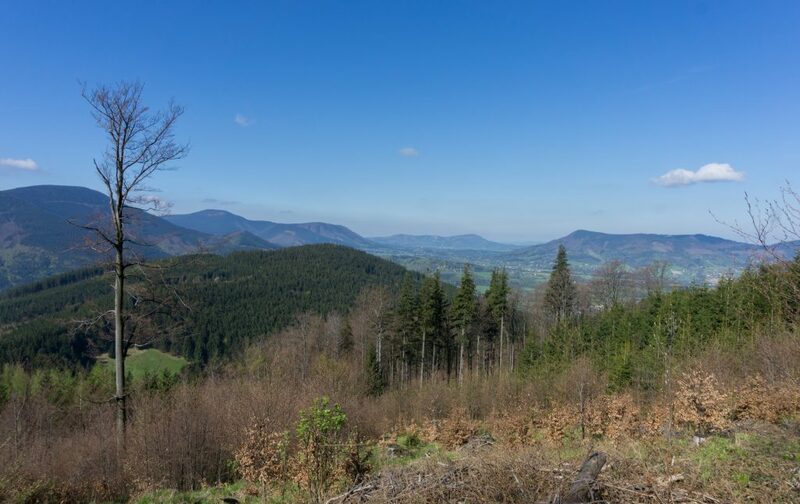 While its height is not tremendous (1323 m), it’s very popular for locals to climb or cycle up, especially during sunny weekends. 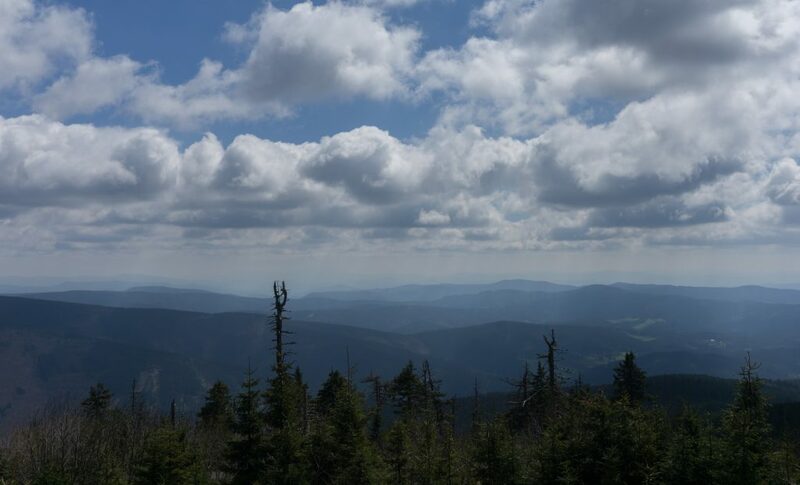 I wanted to show Anna the Beskids so how else to start than by climbing its highest mountain? We started in Ostravice. You can get there comfortably by a train from nearby town Frýdlant nad Ostravicí. The first kilometres of the trail are quite boring because they simply follow the main road. However, it was nice for Anna walking past the local houses with architecture typical of the region. When you get a bit higher, the road is replaced by a paved track. 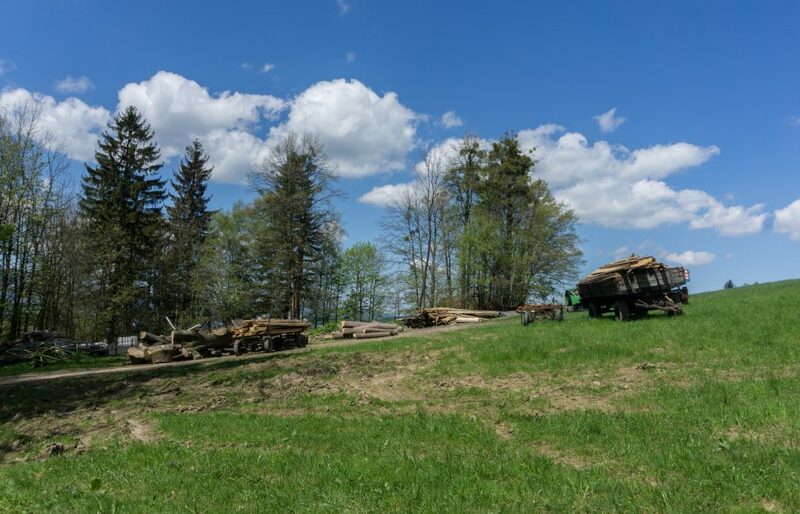 Following the very well marked track (red painted symbols on the nearest trees or lamp posts) we soon arrived at Lukšinec where there is a nice tourist shelter where you can have a rest. From there, it was about an hour to the top. The top is quite disappointing to be honest. There are 3 restaurants, a tall concrete TV tower and even a bus stop. Czech Republic is famous for having a pub on nearly every hill but at Lysá hora they’ve perfected this tradition. But even if there were another 3 pubs, they can’t stop you from enjoying the views. On a good day you can see as far as the Tatras, a stunning Slovakian mountain range. Because we didn’t want to go back the same way, we chose to rather go to Frýdlant nad Ostravicí. It’s a bit further but you can see a bit of local countryside or have a drink in pub down in the village, and the track is less steep so a bit easier on the knees for the descent. 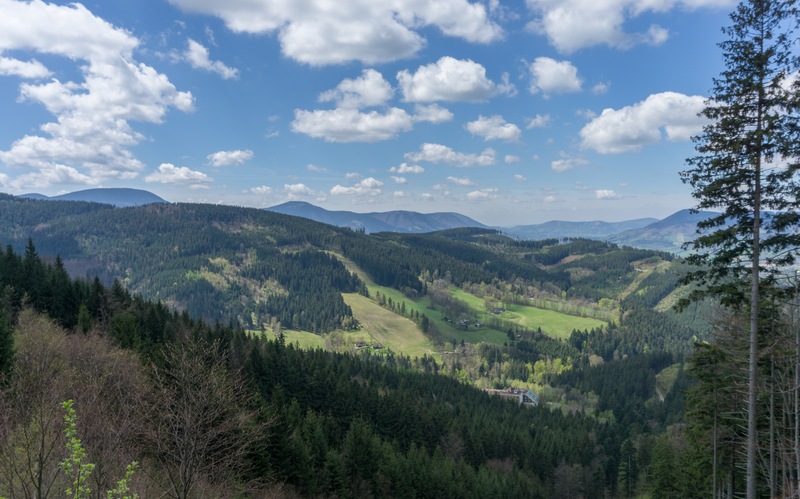 Be the first to comment on "Lysá Hora hike in the Beskids"